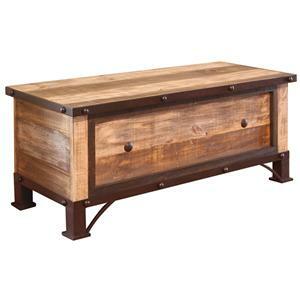 This beautiful coffee table fuses a variety of styles. 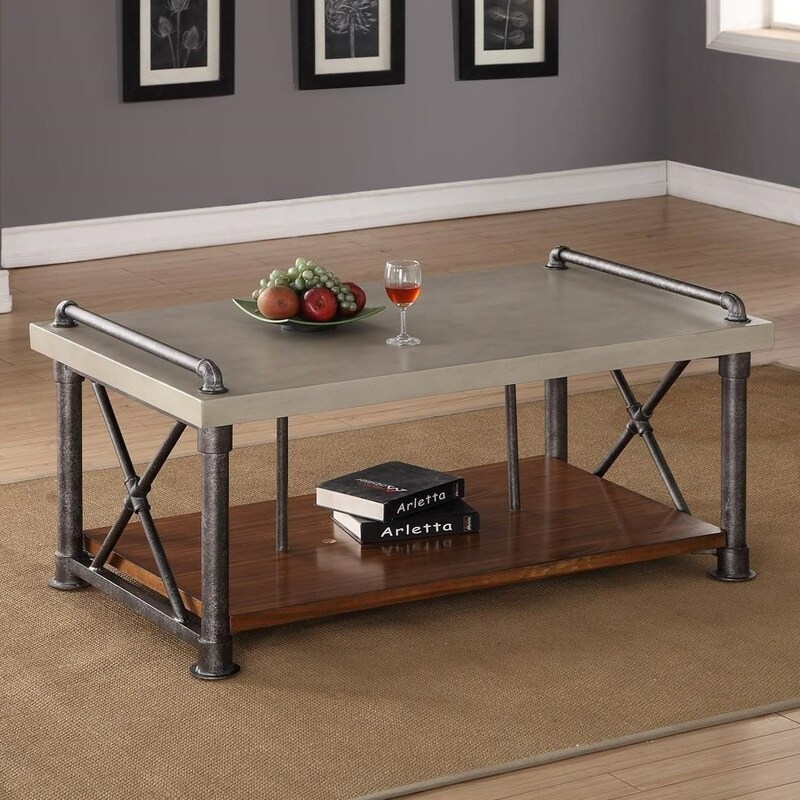 Featuring a faux-concrete top and heavily distressed wood and veneers, the table showcases rustic and industrial design elements. 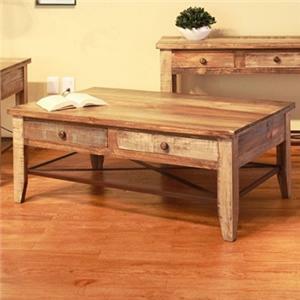 Completed with a large bottom shelf, this accommodating piece makes a wonderful centerpiece for your transitional living setting. The Steampunk Collection Steampunk Coffee Table with Shelf by Legends Furniture at Dunk & Bright Furniture in the Syracuse, Utica, Binghamton area. Product availability may vary. Contact us for the most current availability on this product. Drawer Suspension Ball bearing glides. 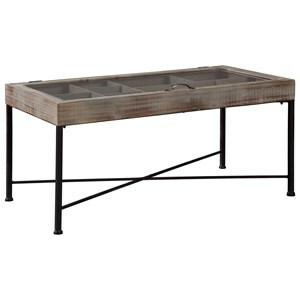 Description: Top Faux concrete tops. Case Construction Premium select hardwoods and veneers. 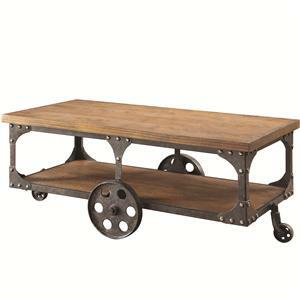 The Steampunk collection showcases industrially styled furnishings for your home living room, bedroom, and office space. 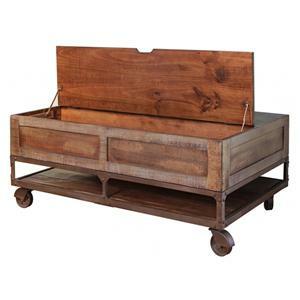 Crafted with premium select hardwoods and veneers, the collection features faux concrete tops, English dovetail drawers, extended shelving, felt-lined drawers, and even a thermostat controlled fireplace console. Perfect for your modern home, these items showcases beautiful style and extended accommodation. 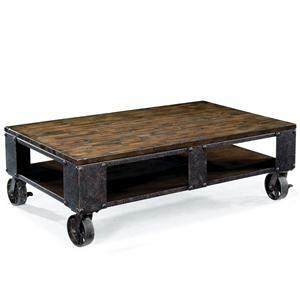 The Steampunk Collection collection is a great option if you are looking for Industrial furniture in the Syracuse, Utica, Binghamton area. 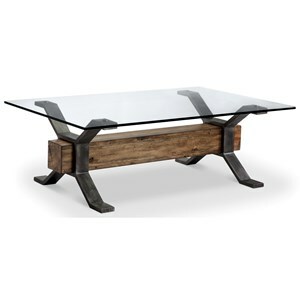 Browse other items in the Steampunk Collection collection from Dunk & Bright Furniture in the Syracuse, Utica, Binghamton area.